When time isn't on your side FlashPatch™ Eye Gels revive tired, fatigued eyes in just 5 minutes. Hydrogel patch technology provides deep hydration and eye revitalization in a way that topical creams or serums cannot. 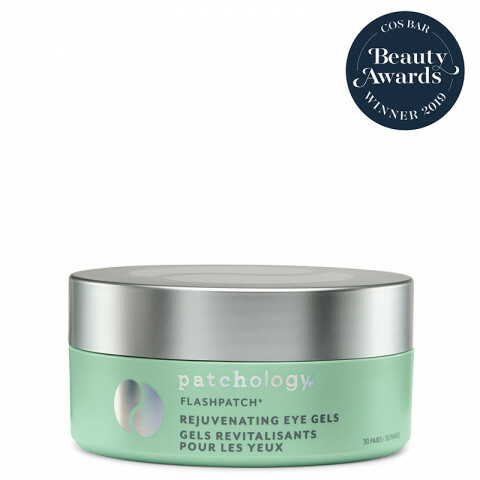 Patchology's FlashPatch™ Eye Gels utilize our proprietary HydraSurge5™ Moisture System, which combines two key elements that work in unison: an exclusive complex of 5 proven hydrating ingredients, and our highly advanced translucent hydrogel technology that accelerates delivery in 5 minutes flat. Each eye gel stays put as you move and has a 'barely there' look once applied. The result is a super-charged boost of hydration and essential ingredients in a super-fast timeframe, so the delicate eye area gets the vital moisture it craves - and you can get on with your day. i keep these in the fridge and use them in the morning to help depuff and soothe my undereye area. work really well! My eyes tend to puff and have a darker tone. This product improves both. The gel format feels great! My moisturizer absorbs better and thus, my make up goes on better. I do like this product but i do not love it. I feel like I need to use it on a daily basis and for it to take car of my under eyes. When I do use them consistently my puffiness is gone. this is one of my holy grail eye products. pop these on in the morning before applying my makeup. helps depuff and brighten the under eye area. makeup applies very evenly after using these eye gels. These keep my eyes hydrated and not puffy! I love using them in the morning. Boy was I impressed. It's practically waterproof. I noticed a difference in my eyes the day after using it. It is so moisturizing as to leave a shiny finish so I wouldn't use it in the daytime. It's also thick. These eye gels are super comforting and hydrating for puffy eyes. Love putting them in the fridge to give a cooling effect! These are great at combating puffy under eyes in the morning! I store mine in the fridge for an extra oomph and leave them on about 10 minutes each time. 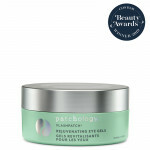 The FlashPatch Eye Gels are my best weapon of defense to combat a long flight, a busy week, or a late night out! They cool, smooth, and reduce puffiness in a flash. I don't go anywhere without them! I am in my mid 20's and already seeing signs of aging around my eyes including bags and fine lines. These under eye masks have worked wonders! I use them about 3 times a week or any day that my eyes seem extra "tired". I usually wear them for about 30 minutes and my fine lines are almost gone when I take them off. It also helps with puffiness. The only reason I took off one star is that I haven't quite finished the tub yet and the patches at the bottom are dried out. Other than that, they are wonderful.